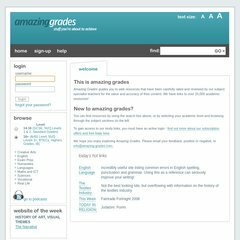 www.Amazing-grades.co.uk - Amazing Grades - Online Study.. There are 2 Nameservers, ns2.123-reg.co.uk, and ns.123-reg.co.uk. The programming language environment is ASP.NET.